For some, dentistry is a profession, a way to earn a living. For others, it is a calling, a source of ongoing passion that requires no less than a lifetime commitment. As his peers and thousands of satisfied patients can attest, Dr. David Silverstrom falls squarely into the latter camp. As he enters his third decade of practicing dentistry, Dr. Silverstrom approaches dental work with the same energy, verve, and forward thinking that he did when he was first starting out. He is consistently at the forefront of advances in dental technology and techniques, yet remains devoted to such time-tested, if increasingly rare, principles as compassion and customer service. It is rare to find a dentist with his experience, skill, and reputation who truly cares about each and every patient he treats, taking the time to get to know them, their goals, and their ambitions for their oral health. Over the course of his career, Dr. Silverstrom has received similar accolades from his peers, as evidenced by his being named a “Top Dentist” by Castle Connolly, the esteemed publisher of America’s Top Doctors. In order to be included among the nation’s top dentists, Dr. Silverstrom had to go through a rigorous peer nomination and review process. 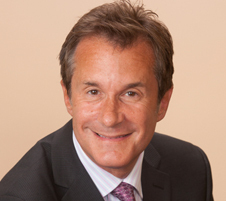 He has also been voted “Best Dentist in New Jersey” by New Jersey Monthly. As a result of his uncompromising standards of quality, safety, and professionalism, combined with his keen eye for artistry, Dr. Silverstrom’s reputation has transcended the borders of New Jersey, attracting patients from throughout the nation and, indeed, the entire world. Under Dr. Silverstrom’s direction, The Silverstrom Group has become renowned for its ability to meet and exceed the expectations of discerning patients everywhere. For a dentist of Dr. Silverstrom’s caliber, education is a lifelong pursuit. He underwent his initial dental training at the New York University College of Dentistry, where he currently serves as an instructor of cosmetic dentistry. He is continually honing his skills and staying abreast of the latest techniques and technologies through education courses. “I’m a believer in keeping up with the rapidly changing face of dentistry through ongoing education,” claims Dr. Silverstrom. Dr. Silverstrom’s commitment to continuing education reflects his desire to provide his patients with the most comfortable, pain-free dental experience possible. He frequently integrates new technology into the practice to complement The Silverstrom Group’s onsite surgical suites and state-of-the-art dental laboratory. Such advanced technologies as the DIAGNOdent® laser diagnostic system, soft- and hard-tissue laser platforms, and CEREC® milling machine help to make treatment more efficient and effective, saving patients time as well as money. Dr. Silverstrom has established The Silverstrom Group as a true full-service dental practice. Few, if any, dental practices provide such a diverse range of exceptional-quality services under a single roof. Of course, the highest-grade materials and most advanced technology require the most skilled hands in order to fulfill their potential. While Dr. Silverstrom has equipped his practice with only the best that modern dentistry has to offer, he has never lost sight of the human element so essential to an outstanding dental experience. His gentle touch, personable chairside manner, and finely honed skills endear him to patients and colleagues alike, and serve as excellent models for the entire Silverstrom Group team to emulate. “Dentistry,” Dr. Silverstrom notes, “is a melding of art and science.” He consistently demonstrates his mastery of both, and it shows in the healthy, radiant smiles of his patients. Over the years, countless patients have expressed their gratitude to Dr. Silverstrom, a gratitude that is wholly mutual. To show his appreciation, Dr. Silverstrom devotes much of his time away from the practice to community involvement. “Community involvement is second only to my passion for dentistry,” he says. Dr. Silverstrom is one of the founders of the New Jersey Makeover Team, comprised of some of New Jersey’s most respected aesthetic medicine specialists who volunteer their services to deserving residents of the state. The beneficiaries of the project receive smile enhancements, skin treatments, hair and makeup services, and enrollment in a fitness program. In addition, Dr. Silverstrom has been a committed ambassador, a staunch advocate, and a generous supporter of the Essex County Mental Health Association for more than a decade. Since joining the association’s Board of Directors, he has tirelessly devoted his time and talent in a variety of ways, including acting as the Gala Tribute Journal chair and serving as the Gala Chair. He is currently a Vice-President of the board. Dr. Silverstrom’s philanthropy extends far beyond the Mental Health Association; organizations such as the Livingston Youth Alliance, Temple B’nai Abraham, Livingston Lancers, Ed Randall’s Bat for the Cure for Prostate Cancer, and Millburn Rocks Education Foundation are just some of the many that have benefited from his generous support. He also grants a substantial scholarship award to four deserving graduates of Livingston High School each year. For his charitable and philanthropic efforts, Dr. Silverstrom has been recognized by the Mayor of Livingston and has received the Community Service Award. Dr. Silverstrom has more than 30 years of experience as both a dental clinician and an educator. He brings to every patient experience a unique combination of caring, compassion, patience, artistry, and skill, in addition to his mastery of the most advanced dental tools and techniques. He would welcome the opportunity to meet you and introduce you to an unsurpassed dental experience. Contact us today to schedule an appointment with an experienced dental professional and a truly upstanding member of the Livingston community.